See how Weyfringe and Easylabel can make light work of your Hazchem labelling requirement. If you need to produce Hazchem labels for your products Easylabel from Weyfringe can make this process easy and straight forward. Easylabel hazchem functionality has been built around the Globally Harmonised System of Classification and Labelling of Chemicals (GHS). Developed by an international group of hazard communication experts, GHS is a system that defines and classifies the hazards of chemical products, and conveys health and safety information on labels and safety data sheets. The goal is that the same set of rules for classifying hazards, and the same format and content for labels and safety data sheets will be used around the world. Easylabel includes a comprehensive hazard reference and phrase database containing hazard references, in multiple languages including; English, German, Spanish, French, Italian, Dutch, Greek, Polish, Finnish and more, making it simple for users to create a comprehensive list of all of their haz-chem labels including all associated symbols. In doing so when labels are required the operator needs simply to select the particular label from the dropdown interface, complete any required batch data and Easylabel will print the required number of labels with the correct information and pictograms. •Edit specific hazards to state routes of exposure, specific organ risk etc. 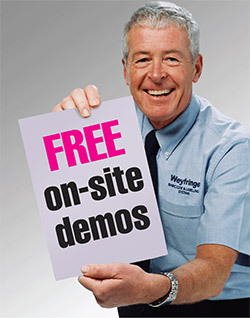 Weyfringe also supply printing systems and labels and ribbons suitable for Hazchem labelling. Specially approved adhesives and face materials to BS 5609, alongside high grade resin ribbons ensure your hazchem labels are suitable for extremes of environment or contact with chemicals. We can also supply pre-printed labels in a wide range of materials, sizes, colours etc. making Weyfringe your single source for all of your hazchem labelling needs.